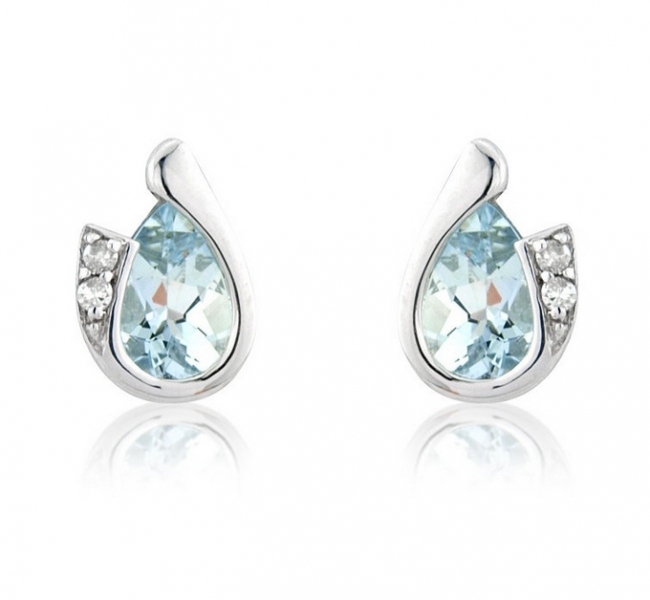 These beautiful Aquamarine stud earrings feature single 6x4mm pear cut gems in solid 9k white gold bezel settings with small complementing diamonds. 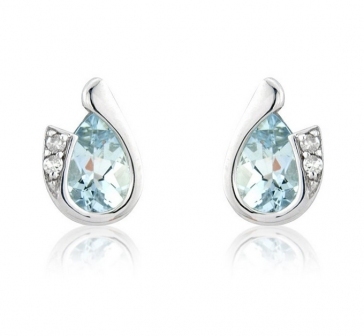 These earrings use a standard post and butterfly fitting for pierced ears. 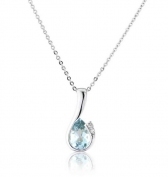 Delivered free with luxury wooden gift box, authenticity certificate and a full 12 month guarantee.